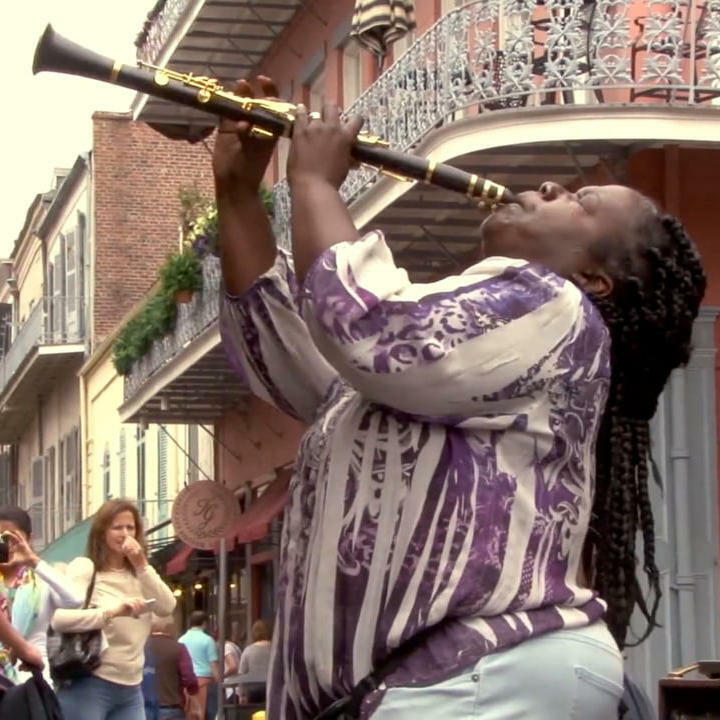 New Orleans jazz clarinet queen Doreen Ketchens is beloved by locals and tourists alike. Rain or shine, Doreen’s magnetic performance draws crowds to the corner of Royal and St. Peter each weekend. Although now known for playing jazz, Doreen trained as a classical clarinetist. She started improvising and busking with her husband Lawrence in 1987. He now plays sousaphone with her on Royal Street, along with daughter, Dorian, on drums. Doreen has risen from the street to national prominence, global touring, feature films and viral videos, but she remains rooted in New Orleans. Doreen Ketchens: I was born in the Treme, and you know, in the Treme there’s lots of music, but we lived on St. Phillips Street, and I went to this nursery school. They had a pageant every year, which was a fundraiser, and it was around Mardi Gras time. Depending on how much money you raised, you could be in the queen’s court. So I told my mom, I ran home, I said, “Mom we have to raise some money because I want to be queen,” and all this other stuff, and she said, “Well what I’ll do is I’ll just sell a little candy out of the front door,” and that’s what she did. Even though the fundraiser was over, the kids kept coming to the door. So a few months later, the barber shop that was there closed, and my mom got the bright idea of opening up next door and being legal. You know what I mean? And they called it Doreen’s Sweet Shop because the reason it all started was because of me wanting to be queen. Nick Spitzer: Sounds like you kind of became a queen of the neighborhood just by having your name on the sweet shop. DK: Ah something like that! NS: At what point in all this do you say to yourself, not only am I good a the clarinet, but I could continue to study and become a professional musician? DK: You know for me, it was just, I was on a track. You know, I said I’ll go to college and I’ll major in performance because we had listened to the symphony, we did a lot of things, you know, and I thought, you know playing the clarinet is something you can do for a living. That would be really cool. And I did my classical and I went to Loyola, and then went to the Hartt School of Music in Connecticut. There was no real work here, I mean, we’re back home in New Orleans, the symphony has gone bust for the third time, so we took a walk out in the quarter one day, and there were some people playing in the street. My husband—he was my boyfriend at the time—he said, “Well we could do that.” I’m like, “Man you must be crazy, I’ve been to college, I’m not playing no music on the street.” But love makes you do crazy things. We created our own gigs by playing out on the street, and we’ve gone many places in the world from the street from that very corner. NS: Well the clarinet and your experience on the street have carried you worldwide. DK: It has definitely, yeah. To hear the full program, tune in Saturdays at 7 and Sundays at 6 on WWNO, or listen at americanroutes.org. Ray Charles Robinson was born in 1930 in Albany, GA and raised by his mother Aretha. After losing his sight at age six, he was sent to the St. Augustine School for the Deaf and Blind in North Florida. It was there that Ray was given formal education in music. But Ray began playing piano long before he went to school. Americana icon Jim Lauderdale followed his love of music from the Carolinas to Nashville, New York and Los Angeles. Despite great songs, his genre-defying style made it hard to get a record deal. Now considered a songwriting legend, Lauderdale has penned tunes for George Strait, Patty Loveless and Solomon Burke, collaborated with Willie Nelson, Ralph Stanley and the Grateful Dead’s lyricist Robert Hunter. Lauderdale was inspired when he saw the Beatles on the Ed Sullivan show. Cyril Neville, the youngest of the Neville fraternal order, grew up surrounded by New Orleans rhythm and blues hit makers, like James Booker, Earl King, and his brother Art, whose band the Hawketts recorded “Mardi Gras Mambo” in 1954. Cyril got an early start in music playing percussion with his uncle Jolly’s Mardi Gras Indian tribe, the Wild Tchoupitoulas. He joined Art’s funk group the Meters in the early ‘70s, and in 1977, Cyril and Art teamed up with Aaron and Charles to form the Neville Brothers. Cyril later founded his own group, Endangered Species, and has become a community and environmental activist, especially in the wake of Hurricane Katrina. Cyril spoke of his musical beginnings some seventy years ago. Joel Savoy is a renowned fiddler and producer, and the son of Cajun music greats Marc and Ann Savoy from Eunice, LA. Joel has worked to preserve and revitalize Cajun music through his playing as well as his label, Valcour Records. He started Valcour in 2006.  Joel has recorded south Louisiana artists such as Doug Kershaw, Steve Riley, Bonsoir Catin, Cedric Watson, and the Pine Leaf Boys, and has produced collections of drinking, love and holiday songs. Jerry Leiber and Mike Stoller were East Coast guys out in California, who began writing and producing for groups like the Coasters and the Drifters in the late 1940s. After the success of “Hound Dog,” they joined up with Elvis to write and produce around a dozen hits in the late 50s and early 60s. Leiber and Stoller told us how they first learned of the man named Elvis Presley.